These ireggularly shaped sudoku puzzles are something even more challenging than the hard or possibly even the evil sudoku puzzles here at DadsWorksheets! 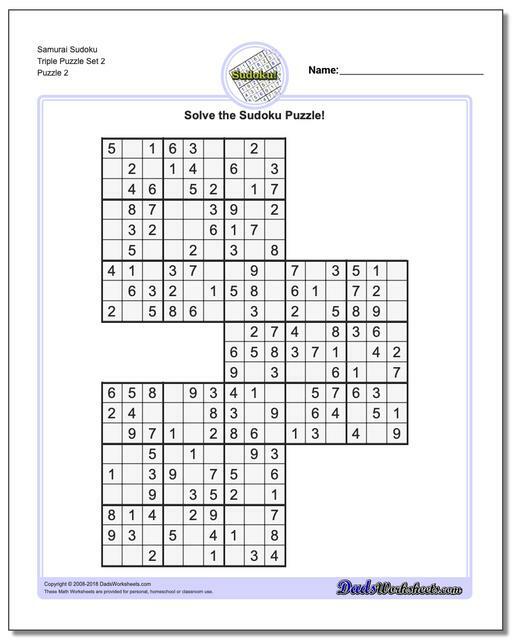 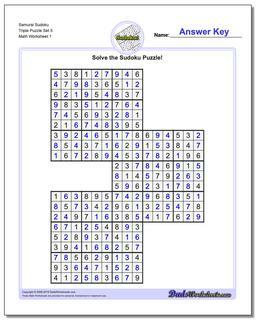 These triple pattern problem Samarai Sudoku are a fun test for your sudoku solving strategies, especially if you've grown tred of working basic grids. To solve these puzzles, work the sudoku grids individually as you would normally, then take the solution in the overlapping squares as part of the other joined puzzles. 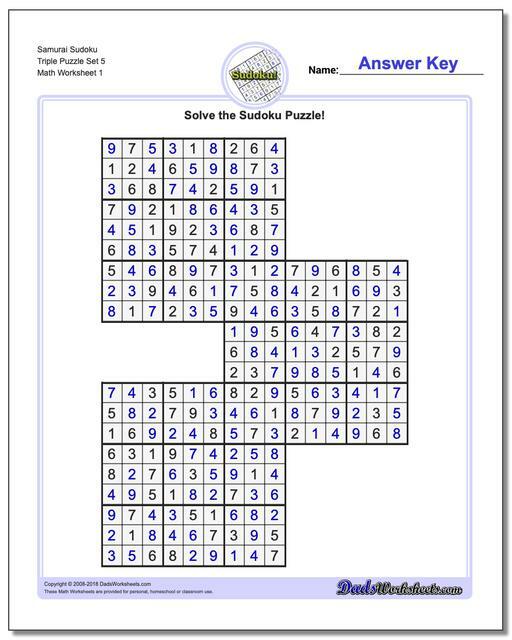 The solution to the middle puzzle will be a component of the solution for the top and bottom puzzles.